Civil asset forfeiture is a means by which the government can seize your assets (bank accounts, real estate and other property) – and keep it – even if you have never been convicted or even charged with a crime. Florida lawmakers unanimously tried to combat this inherently unfair practice with a 2016 law that banned police from taking property from individuals under most circumstances unless they were charged with a crime. However, the U.S. Department of Justice countered the following year with a reversal of previous policy restricting the instances wherein state and federal law enforcement could seize property under this federal law. That reversal means state and local agencies can ignore state law and seize property under federal law, so long as they give the feds a cut. At The Ansara Law Firm, our dedicated Fort Lauderdale criminal defense attorneys are committed to fighting for your rights and protecting your property from civil asset forfeiture. There may be several ways we can help you fight back to keep your property safe from unwarranted government seizure. Civil asset forfeiture is a legal process whereby law enforcement officers can seize and overtake control of assets from individuals who are suspected of involvement in crime or illegal activity – sometimes without charging them with wrongdoing. Contraband. This would involve property that may be illegal in and of itself (i.e., narcotics, smuggled weapons or animals, etc.). Proceeds from Illegal Activity. Any money or property that can be traced back to illegal activity. Tools or Instrumentalities Used in Commission of a Crime. This could be vehicles, houses, business warehouses – any property used to help carry out the crime. The standards of proof are extremely lax in this legal arena, and it will be incumbent upon you to challenge the seizure if you hope to have your property returned. 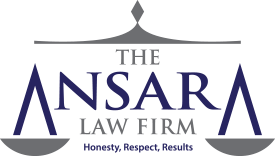 As criminal defense attorneys in Fort Lauderdale who are also well-versed in civil litigation, The Ansara Law Firm is equipped to help you fight back against unfair civil forfeiture in Florida. The reality is this provision has been abused to a great extent by local, state and federal law enforcement agencies. For instance, in New Mexico, where lawmakers passed extensive civil forfeiture reform at the state-level, local law enforcement continued to seize property – to the point where the city of Albuquerque seized so many vehicles, they had to build a complex to store them. Closer to home, the state of Florida reportedly confiscated at least $20 million in property annually through asset forfeiture. Agencies aren’t required to report the actual amount of assets seized, so the actual number could be higher. The Orlando Sentinel Several Years Ago The Institute for Justice reported that between 2001 and 2014, the U.S. Department of Justice and the U.S. Treasury Department collected a combined $29 billion in annual revenue from civil asset forfeitures – a figure that grew by 1,000 percent during that time frame. The vast majority of these forfeitures (about 88 percent) take place “administratively,” which means they occur automatically when the property owner does not challenge a seizure in court for any reason. The seized property is presumed “guilty,” despite no finding from a neutral arbiter (i.e., a judge) weighing the evidence to ascertain whether it should be taken from its owner. A major part of the issue is that police can seize property under a legal standard that is lower than “beyond a reasonable doubt,” which is required for a criminal conviction. There is very poor public reporting on the practice by law enforcement, and this lack of transparency makes it difficult to hold public agencies accountable for it. The fact is these policies give agencies an incentive to pursue property rather than justice – and that is extremely problematic. It is possible to fight back. Several media outlets reported on a case a few years ago wherein a man in Nevada had an excellent night at a casino, leaving the site with $60,000 in cashier’s checks. However, he was stopped by a police officer, who later explained he thought he smelled marijuana. He seized the cash, citing civil forfeiture allowances, although the driver was never charged with a crime or even cited for a traffic offense. The officer allegedly threatened to seize his car unless he “drove off and forgot this ever happened.” The motorist sued and was eventually able to recover his winnings. Most challenges to these actions are predicated on the theory that such stops and seizures violate an individual’s Fourth Amendment right to freedom from unreasonable search and seizure. If you have had property seized in a law enforcement stop or raid, contact our experienced Fort Lauderdale civil asset forfeiture lawyers. Contact the Fort Lauderdale Criminal Defense Lawyers at The Ansara Law Firm by calling (877) 277-3780.